If a plumbing expert suspects that a pipe is burst, then specific technology needs to be used to identify the area of damage. Thermal Imaging offers great options to locate the leak without significant damage to your property. Before this technology was invented, it sometimes took a lot of digging to find the source of the water leak. The contractor could guess a location and start the digging to get a visual on the pipe. But, continued digging would be required if the damage wasn’t identified immediately. Even though the pipe was repaired, homeowners had the inconvenience of repairs for landscaping or indoor remodelling due to damage that occurred to find the leak. Now, Thermal Imaging can be used to find the location of the leak before the digging commences. Our team can use the Thermal Imaging technology along with other leak detection tools to accurately identify the location where the leak is happening. We can spot hidden leaks that might be located behind walls or under the floors, helping to minimize the destruction that occurs when the pipe is repaired. During a plumbing inspection, it can be helpful to use Thermal Imaging to identify issues that would have otherwise gone undetected. Waiting until the water damage is visible can result in expensive restoration costs. Instead, this imaging technology can be used proactively to find the active leaks, helping to reduce the overall costs of the repairs and restorations. You can avoid unnecessary damage and protect your home at the same time. 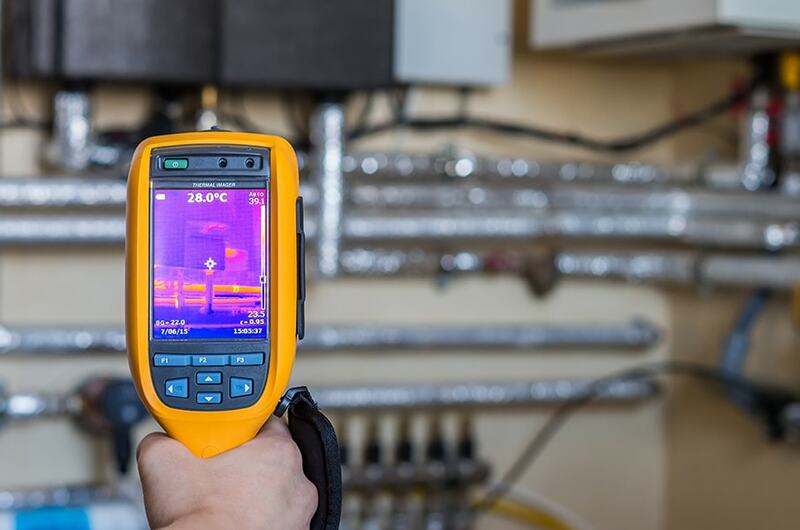 Whether you are buying a new home, working on repairs for an older home, or you suspect that there might be a leak in the building, it is essential that you contact a team that offers the best technology in the industry: Thermal Imaging. For more information about leak detection, BRITON Detection & Inspection is here to help. Call today to schedule an inspection.